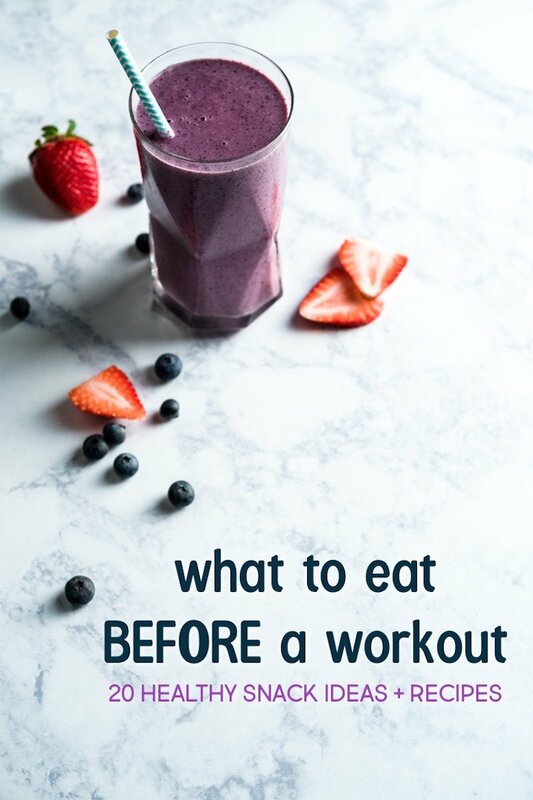 We’ve discussed the optimal post-workout foods for recovery after an intense calorie-burning workout or a hill sprint workout, but did you know you should eat a pre workout snack, too? Most of us need a great boost of energy before hitting the pavement, the gym, or whatever our exercise method may be that day. 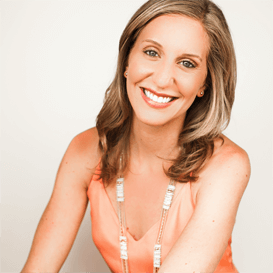 We want a quick snack that will fill us and fuel us without weighing heavy on our stomachs. So what should you eat before a workout? 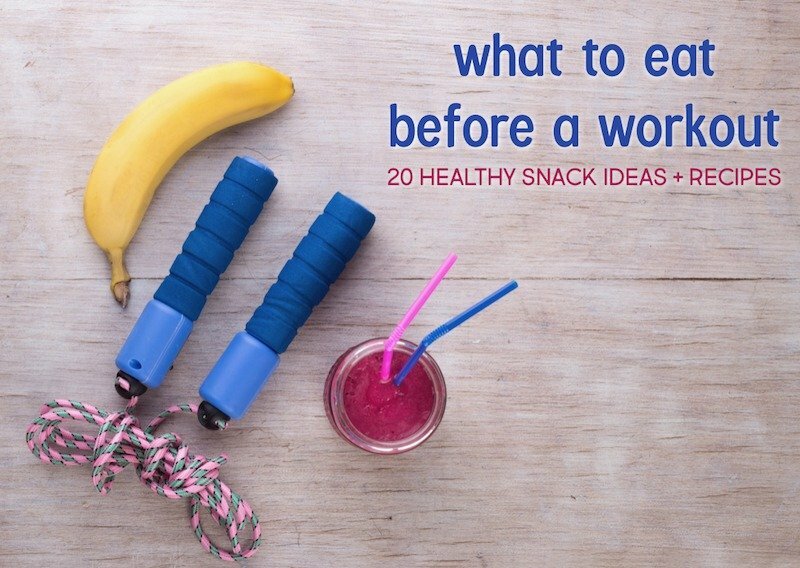 Here are 20 pre workout snack ideas for you to try! There’s a lot of information about what foods to eat following a workout, but what should we eat before a workout to help us yield the maximum results? Protein – This is probably the most obvious. Protein is often suggested for post-workout fare because it helps rebuild and strengthen muscles; but this is the same reason it’s also great to eat before a workout. Most of these pre workout snack recipes contain some source of protein. Potassium – Because the body is not able to hold on to potassium for very long, especially during physical exercise, it’s important to restore and refuel even beforehand. Healthy Fats – Fat helps lubricate joints and fill our bellies without making us feel too full. Having fats in your pre workout snack will give you energy for intense or long workouts without weighing you down. Carbs – In order to maintain adequate energy levels for a good workout, carbs found in foods like fruit, bread, and whole grains are great to consume. Ready to get moving? Fuel up with these pre workout snacks! 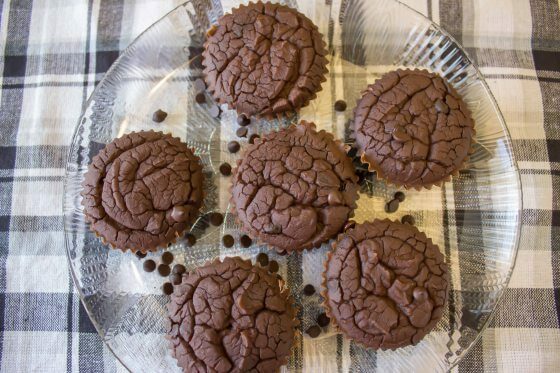 Protein powder, chickpeas, and egg whites star in these naturally sweetened chocolate protein muffins. You can make them ahead and enjoy them for several days straight before your workouts. 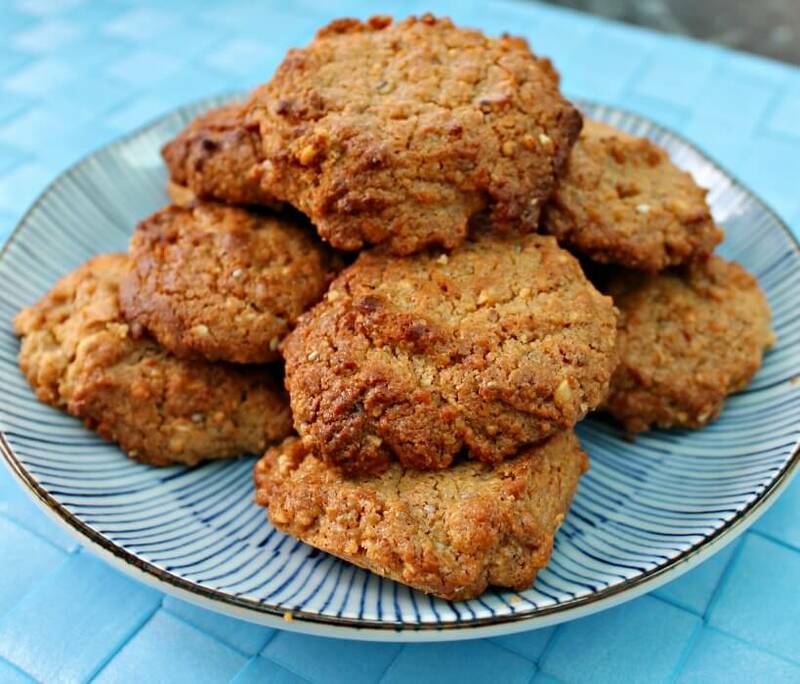 Use your favorite nut butter in this simple, three-ingredient cookie recipe. You can freeze them for easy prep and quick access, and they provide a fantastic protein-boost! 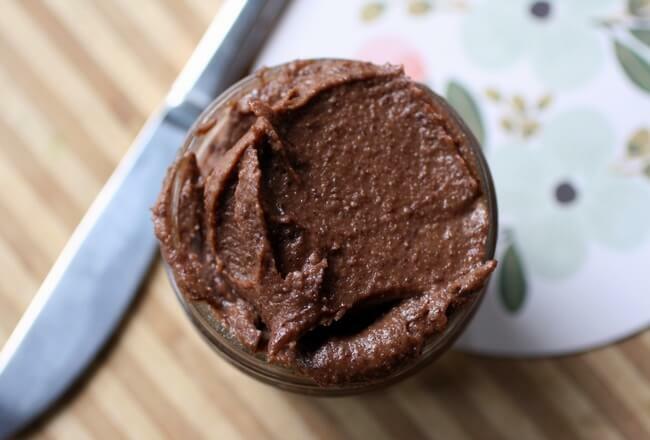 The hazelnuts pack an added punch of protein in this homemade nutella, while the natural sugars and potassium contained in bananas provide energy and recovery support. Plus, they taste great together! Obtaining its protein power from grass-fed collagen, this smoothie is super quick to put together and is a dynamite combination of spinach, mango, peaches, bananas, avocado, and more! Made with eggs, full-fat milk, and butter, this filling snack is naturally sweetened with maple syrup. A perfect protein boost before you exercise! 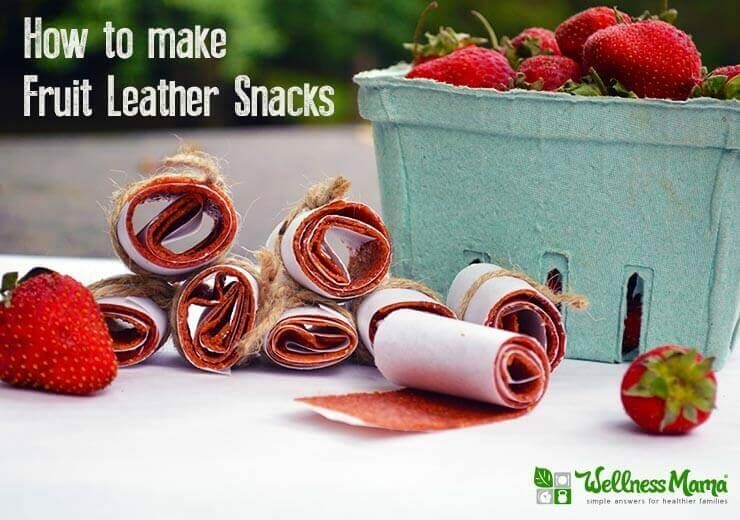 Gain energy from naturally-occurring sugars in strawberries with these chewy fruit leather snacks. You can even include beets into the recipe to make for an even more nutritious snack. The combination of protein from the tuna and healthy fat from the avocado makes this meal/snack ideal for pre workout. The spices are delicious, and the added veggies provide a delightful crunch! 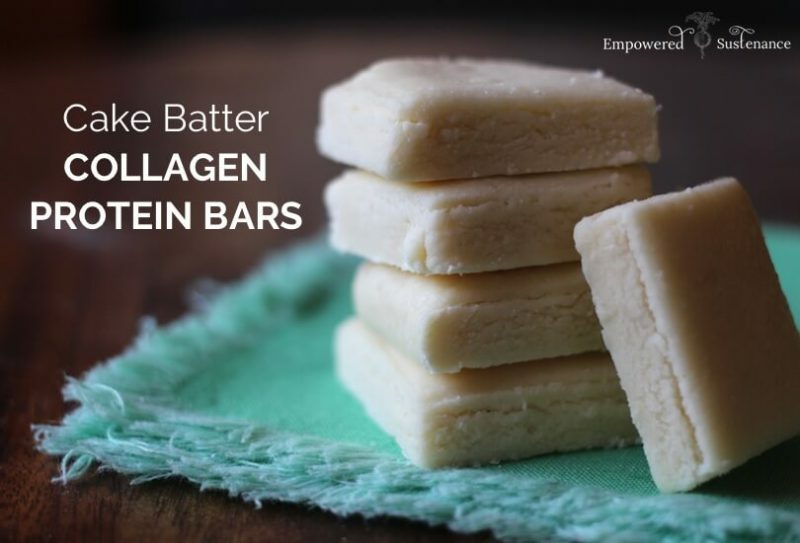 Made with nutrient and protein-rich collagen, these cake batter bars make a great “treat” before you workout. 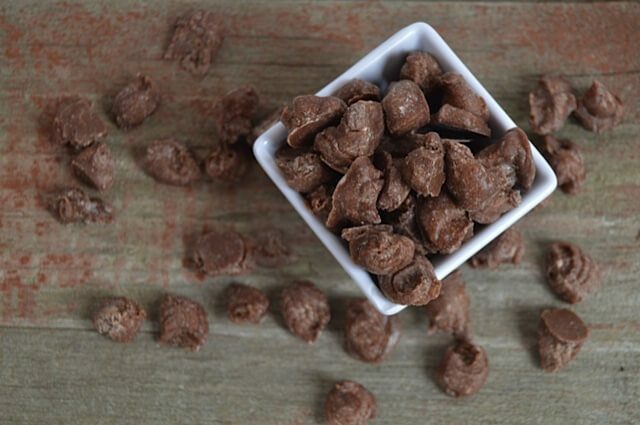 Get your metabolism revved up with these pop-able chocolate chunks. The coconut oil offers a jolt of energy while the cocoa provides extra antioxidants. This butter has flavors reminiscent of fig newtons but is loaded with probiotics. Figs are naturally sweet and will help boost your energy before a run. Eat with a piece of sourdough toast for maximum energy. 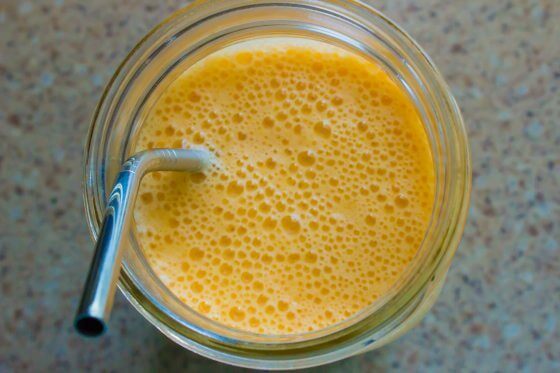 Made with fresh oranges, bananas, protein powder, and more, this orange smoothie is an ideal breakfast before an early morning run or pilates class. 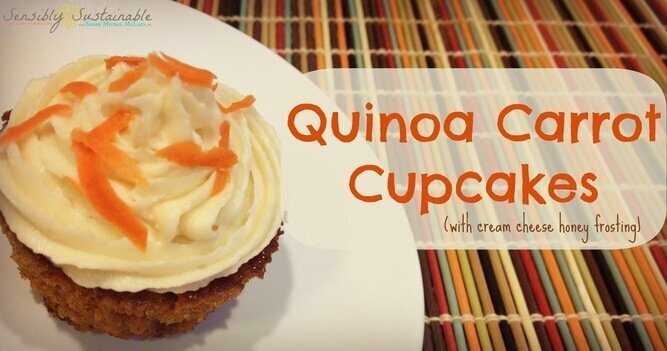 Quinoa is an ancient grain that is a complete protein. The carrots bring flavor, color, and vitamins and minerals. This recipe calls for a cream cheese frosting; but if that is too heavy pre workout, you can eat them like muffins sans icing. For even more protein power, chop up the roasted nuts and stir them into Greek yogurt. 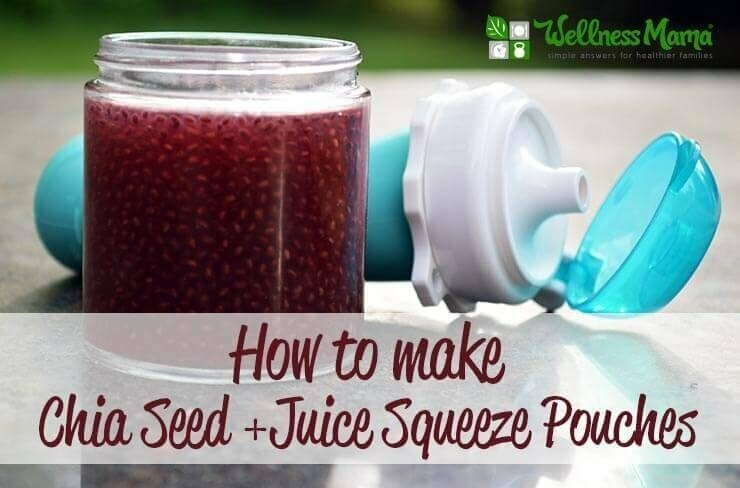 Chia seeds are widely known for their energy-boosting ability. They also keep you fuller, longer, and enable you to power through a longer or more intense workout without growing weary. When combined with real fruit juice, they make for a quick and easy snack on your way to the gym. Don’t be intimidated by organ meats! 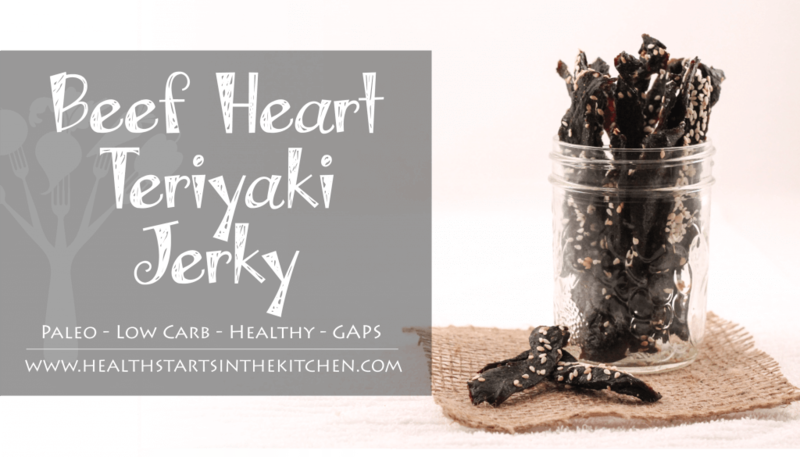 Not only is this jerky well-seasoned, it’s an excellent source of protein and vitamins and minerals from the heart. 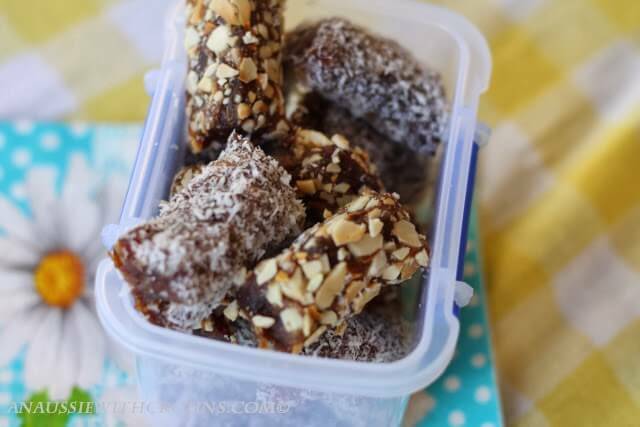 These date rolls can be made in big batches and frozen ahead of time for fast access before your workouts. 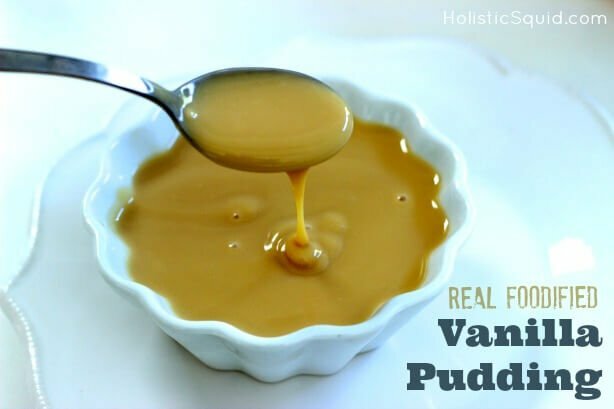 Its nut and date content gives a boost of both protein and energy. These apple cinnamon muffins are made with nutrient-rich ingredients like applesauce and coconut flour. 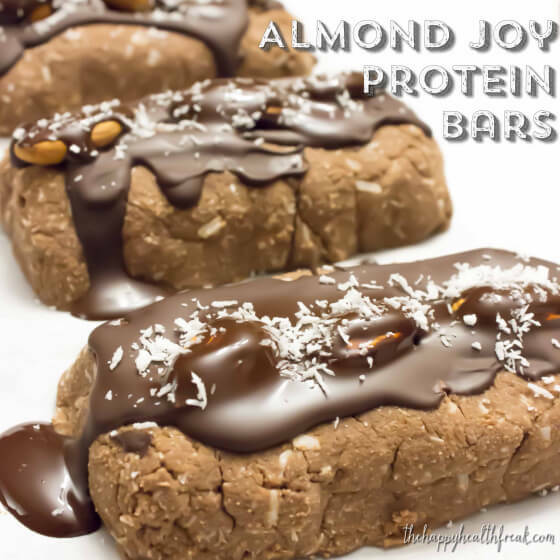 These make a perfect grab-and-go snack before exercising! 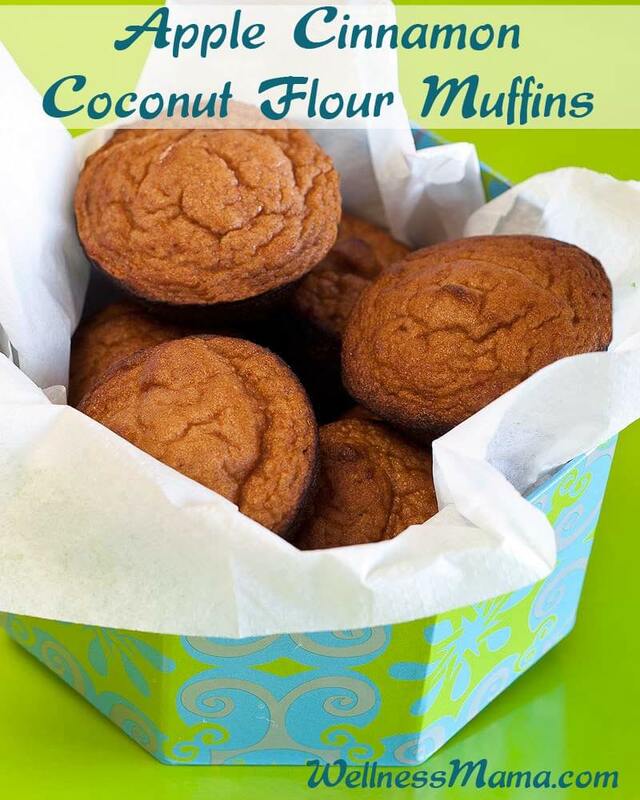 These grain free are made with good chocolate, protein powder, coconut flour, shredded coconut, cocoa, and stevia. These serve as a great energy boost! Grab your favorite veggies and get dipping! 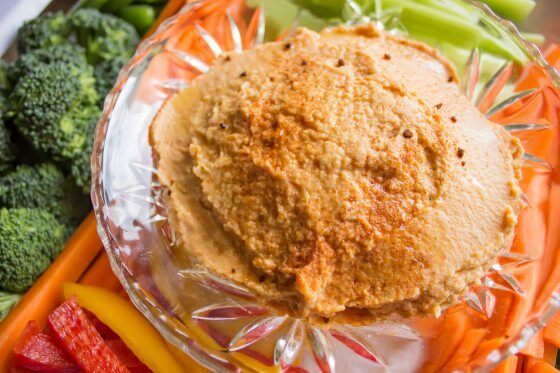 The chickpeas in this hummus are a fantastic source of protein and this hummus will fill you up without weighing you down before a workout. 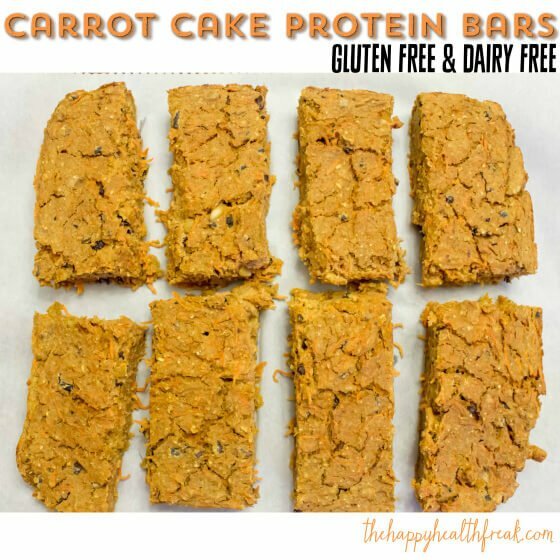 Naturally sweetened with applesauce, these carrot cake protein bars can be made in advance and stored in the refrigerator for quick access before a workout. What do you like to eat before a workout? Share in the comments below! Ok, I just made your orange dreamsicle smoothie and that was maybe the best tasting smoothie I’ve ever had. I’m going to do your chia seed pouches next and see how that goes.